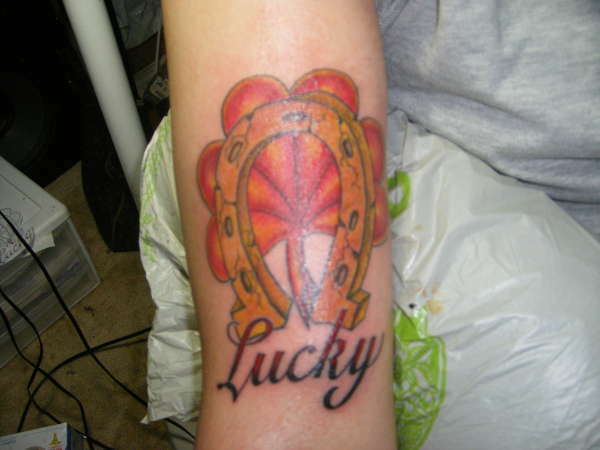 Thinking about getting a tattoo that represents good fortune? 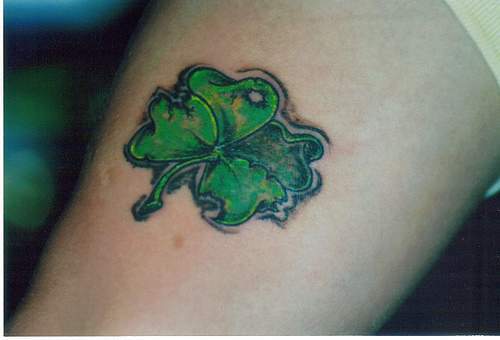 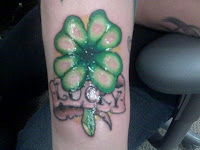 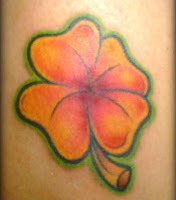 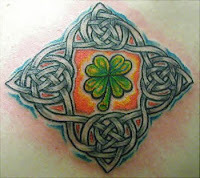 Well your in luck my friend, because this picture gallery holds some of the best looking clover tattoos around. 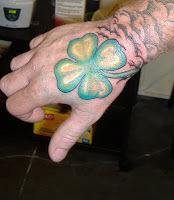 Clover tattoos, often with four leafs and called shamrocks are perhaps the most internationally well known symbol of good luck and overall prosperity. 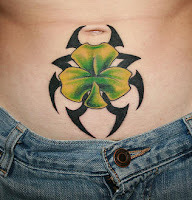 Probably the single most popular Celtic tattoo in the book, clover tattoos are sometimes combined with other lucky objects such as dice, horseshoes, playing cards and the number 13, which is also considered to be an unlucky number by many. 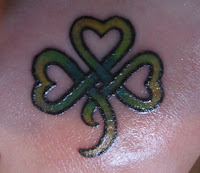 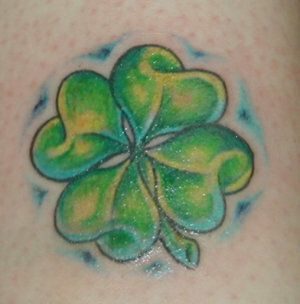 Not surprisingly, clover tattoos are almost always drawn using green ink, unless you're a rebel. 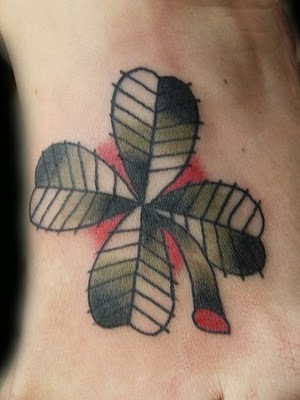 Clover tattoos look fabulous on any part of the body and blend nicely with other designs. 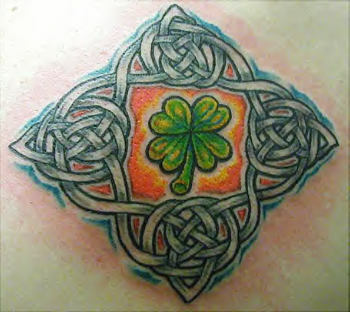 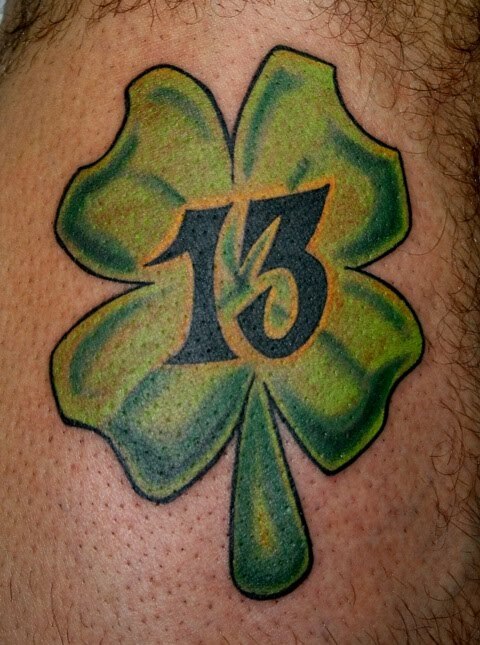 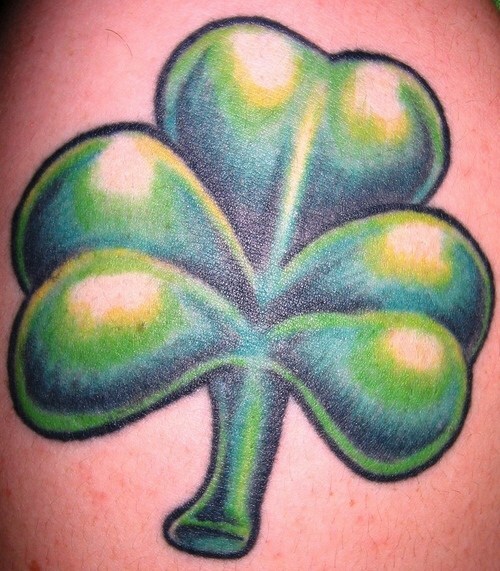 It seems like the majority of shamrock tattoos are very small in size, however some people like to make them a large centerpiece of a larger design.